At 13,063 ft, Wheeler Peak is the highest point in Great Basin National Park. It is also the second highest peak in Nevada. It is an easy 4.3 mile 3000 ft hike to the summit (easy in good weather, that is!). 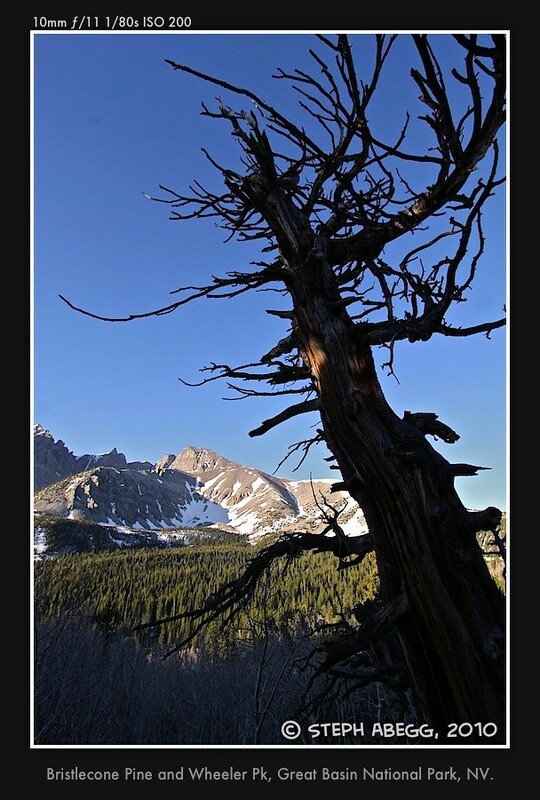 In June 2010, I stopped by Great Basin National Park, and hiked to the summit of Wheeler Peak. The 60mph winds made it more exciting than just a hike. My brief trip report for Wheeler Peak is on my "Utah Road Trip" page.